There were celebrations today in China after the maiden flight of the world's largest amphibious plane. The plane is able to both take off and land on water. The plane took off from Zhuhai airport in the southern province of Guangdong. Cheering crowds greeted the plane on its return. The maiden voyage was also broadcast on state TV. The development of the plane is the latest step in the modernisation of the Chinese military. With a wingspan of almost forty meters and weighing more than fifty tonnes the AG600 is roughly the same size as a Boeing 737. It can carry up to fifty people and remain airborne for twelve hours. 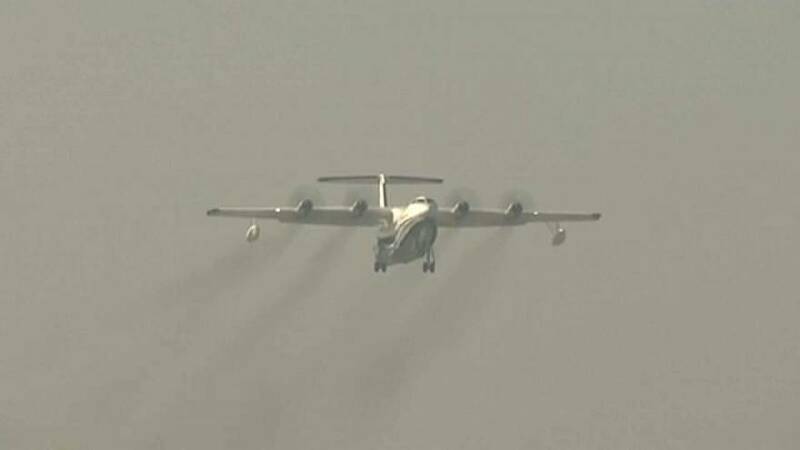 State media also reported the plane can collect 12 metric tons of water in 20 seconds which will be used for fire fighting operations. The plane took eight years to be developed and will be used for marine rescue operations as well as with the military in the South China Sea. This area is contested with a number of countries including Malaysia and Vietnam claiming ownership of the waters. Already there are 17 orders for the plane within China. Xinhua news agency said the aircraft was the "protector spirit of the sea, islands and reefs". How old is the EU's commercial aircraft fleet?